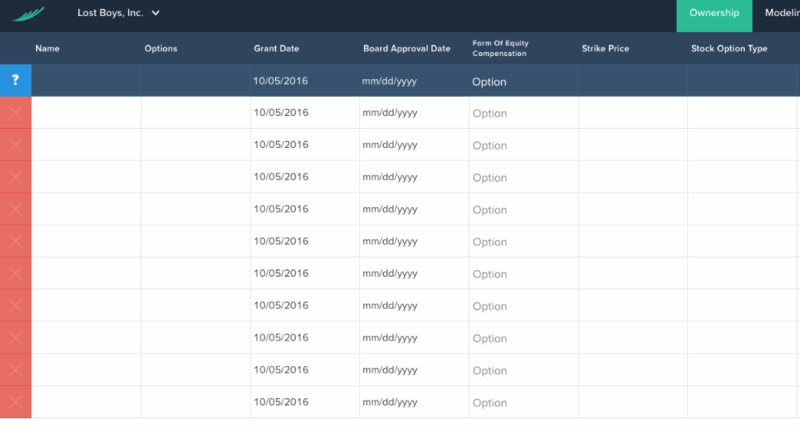 How do I issue options from my option pool? From the home page you want to click on CAP TABLE and then select DETAIL. This will bring you to your Detailed View of your cap table. From this page you want to click on ISSUE, which is located near the top right of your cap table directly to the left of New Security. 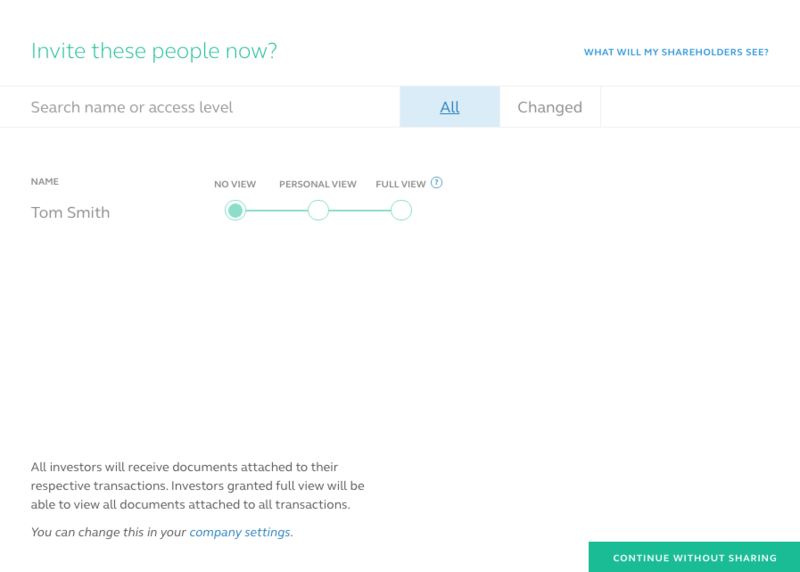 This will bring up a menu of tiles showing you all of the securities you can issue shares or options from. In our case we are focused on issuing options so we are going to click on an option pool we are wanting to issue options from. You will then be prompted to fill in details regarding the Options being issued such as the option holders name, the strike price, stock option type, and vesting schedule. An important area to note here is the ' Additional Documents' section. If you are simply entering data to retroactively keep track of information you may want to upload a sign Option Grant Agreement you received from the option holder. If this is for future options being issued you may want to add a form with instructions/details regarding the options being issued to the option holder. To add a document simply click on Add Documents. 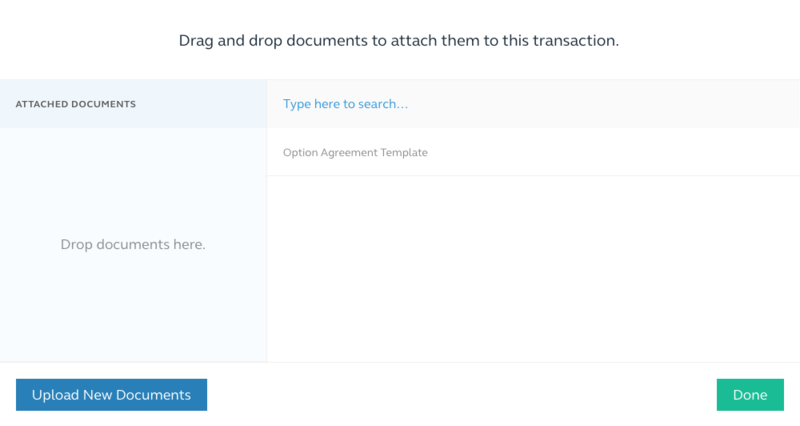 You can upload new documents to that transaction or if you already have documents uploaded you can select from those documents once you want to be shared with this transaction. If you have already created an Option Grant Agreement that needs to be shared with your option holders for signature you will see an area that says Generated Documents, and you should see a box that says ' Agreement'. 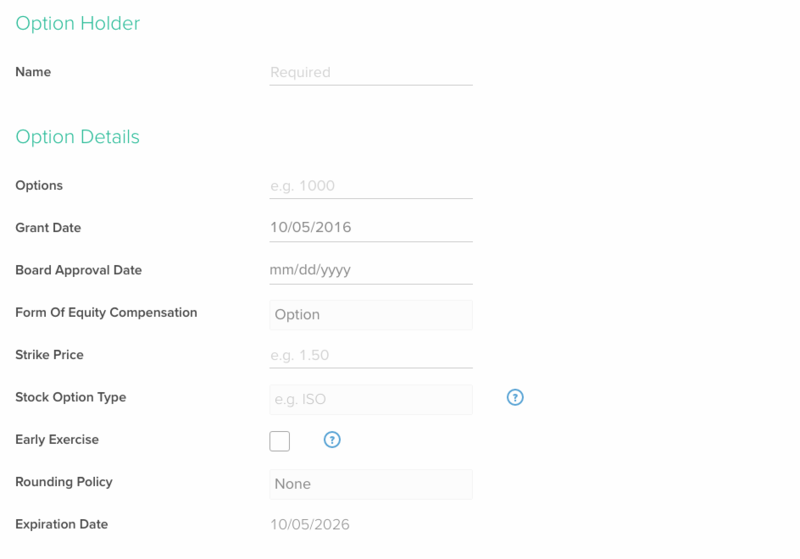 You want to click that box so it generates your agreement paperwork for the options being issued. If you have not created an Option Grant Agreement please see the Issuing Cap Table Paperwork article. or you can select BULK, which will allow you to enter several option grant details on the same page in more of a spreadsheet format. Once you have entered in the necessary details you want to click on ISSUE. You will then be prompted on if you want to share with the option holder information regarding the options being issued to them. This can be helpful if you already have a board approval date and need the option holder to review the information and sign any documents. See the What will my shareholders see? article. If you don't want to share any information yet you can simply click on CONTINUE WITHOUT SHARING.